ONLY 2 DAYS LEFT 📣 Our Year End Sale for 2018 will end on 31 December 2018. Better hurry now guys 🤗 Get 15% off on each products (excluding granola and Beauty Box). Now until 31 Dec 2018 is the perfect time to stock up on your natural-organic beauty items. Shop via our website 🖱 just type in the promo code AYES15 upon cart check out. ADANIA Year End Sale 2018 is available/valid through these channels only : 🔍 Our website (click the link in our bio). 🔍 Our Beauty Hotline. Just WhatsApp us at 01156900395. 🔍 Our distributors (list on our website). 🔍 Our physical store at ADANIA Face Spa Wangsa Maju. Happy Saturday everyone! Not everyone born as equal. The same thing can be said for our skin. Each individual is different. You just gotta know what works best for you. Jump into the natural-organic wagon by starting a change with your cleanser. A cleanser do so much for you. It cleanse, purifies and keeps your skin healthy. We have our liquid cleanser in trial-travel size of 50 ml. It's small but don't underestimate its size because it fits into your bag just perfectly. Just make sure to tighten up the caps before you go 😉 ADANIA liquid cleanser is available in Pure Lavender and Sweet Orange. Now until 31 December 2018, it's only RM32.30. Just type in the promo code AYES15 upon your shopping cart check out on our website. ADANIA Y.E.S 2018 with 15% OFF is available through these channels : 📍 Our website (just click the link in our bio). 📍 Our Beauty Hotline. Just WhatsApp us at 01156900395. . 📍 Our distributors (find the nearest one to you via our website). 📍 Our physical store at ADANIA Face Spa Wangsa Maju. 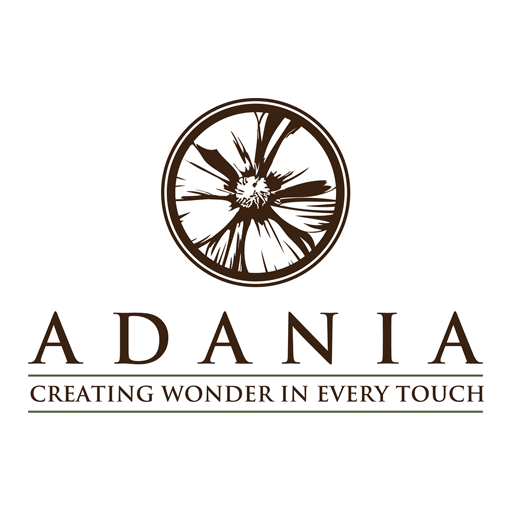 ADANIA YEAR END SALE WITH 20% OFF DISCOUNT! IT'S STILL ON 😃 From 21 till 24 December 2018, enjoy 20% OFF on each of our natural-organic range, from face care, body care to hair care. It is a very much anticipated event every year. What are you waiting for? Visit our website to grab this limited time special deals while stock lasts. ADANIA Year End Sale 2018 is only valid through these channels : 🌞 Our website (click the link in our bio) 🌞 Our Beauty Hotline, WhatsApp us (01156900395). 🌞 Our distributors (list on our website). 🌞 Our physical store in Wangsa Maju. For purchase through our website, kindly type in the promo code AYES20 at the "Discount" section during your cart check out. Pricing will only deduct after you have entered the promo code. Happy shopping everyone! Because I bought it on sale, I actually made money 😇 Have you check out our Year End Sale? We are currently having a Year End Sale with 20% OFF from 21 till 24 December 2018. Visit our website www.amaryllis-wellness.com and type in the promo code AYES20 upon your cart check out. ADANIA Year End Sale 2018 with 20% OFF is available through these channels only :. . 🌲 Our website ( www.amaryllis-wellness.com . 🌲 Our Beauty Hotline. Just WhatsApp us at 01156900395. 🌲 Our distributors (list on our website) 🌲 Our physical store in Wangsa Maju. Good morning everyone! Remember our little teaser post last night? 🤗 Today (7 December 2018) is World's Cotton Candy Day! In conjunction with this special day, we are giving away 1 extra FREE Cotton Candy Hair Mask with a purchase of 1 Cotton Candy Hair Mask. Buy 1 and get another 1 for FREE 😃 this promo is valid through online (website, WhatsApp, IG & FB) and tgrough our participating distributors only ♡ Happening only today 7 DECEMBER 2018! This promo ends tonight at midnight. Be sure to grab em' fast 🤗 Cotton Candy Hair Mask is the tonic for the hair. With caramel, carrot and papaya extract, it smoothes unruly and unmanageable hair. Smells refreshingly divine as well. Suitable for all hair types. It's that time of the year again! 😃 we know you have been waiting for this. It's the ADANIA Face Spa Year End Sale! Starting 1 Dec 2018 till 1 Jan 2019, get 50% off for facial treatments and 20% off for body treatments. Our spa locations? We are available in Wangsa Maju and inside of Metrojaya The Curve. For precise location, kindly visit our website (click the website link in our bio). 50% for facial treatments includes :. . 🍂 Charcoal Purify Facial. 🍂 Pearl Brightening Power Facial. 🍂 Honey Enzyme Facial. 🍂 Black Caviar Hydrating Facial. 🍂 Infinite Lift Gold Dust Facial. 20% for body treatments includes : 🍂 Swedish Body Massage. 🍂 Royal Aromatic Body Massage. 🍂 Orang Kampung Body Massage. 🍂 Hot Stone Massage Therapy. For Wangsa Maju, kindly contact 0367300486 or 0108699775. For Metrojaya The Curve, kindly contact Syira 01110106526. Yes you read that right! 😃 Today is the last day (30 November 2018) for you guys to redeem your free facial voucher from ADANIA Face Spa 🤗 Get 1 with every purchase of our ADANIA Beauty Box ♡ T&C : Vouchers will be given through e-mail. To grab our Beauty Box, just visit our website www.amaryllis-wellness.com or WhatsApp us at 01156900395. You can also grab one from our distributors all across Malaysia. What's your must haves in a bag? 💼 Ours would have to be a perfume and a multi-tasking make-up tool (read : ADANIA Lip Conditioner in the code Pineapple Mint Juice 🍍 ) We are lovin' BAU perfume as it gets us smelling nice wherever we go. While the Pineapple Mint Juice creates a nice hue and treatment for lips, cheek and also eyes 👀 It's a definite multi-tasking make-up tool that takes us from AM to PM. Never a dull moment when you have BAU and Pineapple Mint Juice in your bag 🍍 just to let you know, these two are eco-friendly and with natural plant-based ingredients. Stay pretty, help the earth 🌏 PS : Grab a chance to get FREE ADANIA Creamy Natural Body Bar when your purchase any of BAU perfume (excluding the combo box set). Promo ends 21 Nov.